We have developed an online center of excellence to share our knowledge with you and create a community of best practices. Below are our FREE resources available for download. Every staffing company has to do it but only a select few do it well. The Sales Management Association found that after new hire sales on-boarding is complete, 1/3 of reps still lack proficiency in key selling skills. That’s a LOT of wasted training dollars. At best, this leads to slow ramp up times for new hires. What this most often leads to however is revolving door syndrome. How do you break this viscous cycle and on-board recruiters and sales reps in a way that actually works? 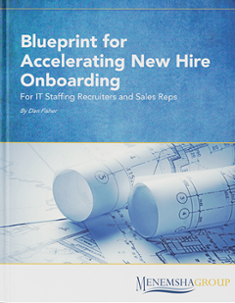 Our exclusive eBook provides the blueprint for accelerating new hire time to quota attainment. No matter how you performed last year, if you’re like most staffing organizations, you plan and expect your revenue and profitability numbers to improve. The first question you need to consider is – how do you plan to grow your staffing company this year? 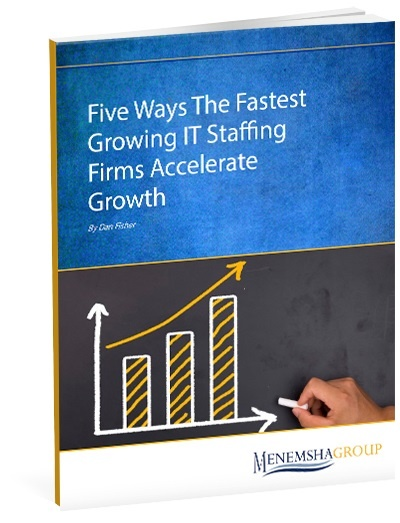 Having worked with hundreds of IT staffing firms including many of the fastest growing firms in North America, we’ve studied first hand how these organizations accelerate, manage and plan for growth. Why learners find our content engaging and fun! Relying too much on one or two reps for most of your revenue? 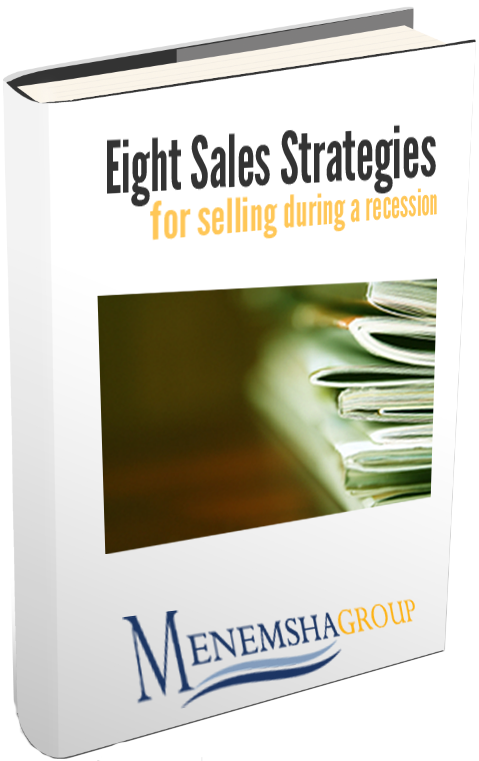 Failing to replicate your sales successes? Struggling to expand into new geographic regions? 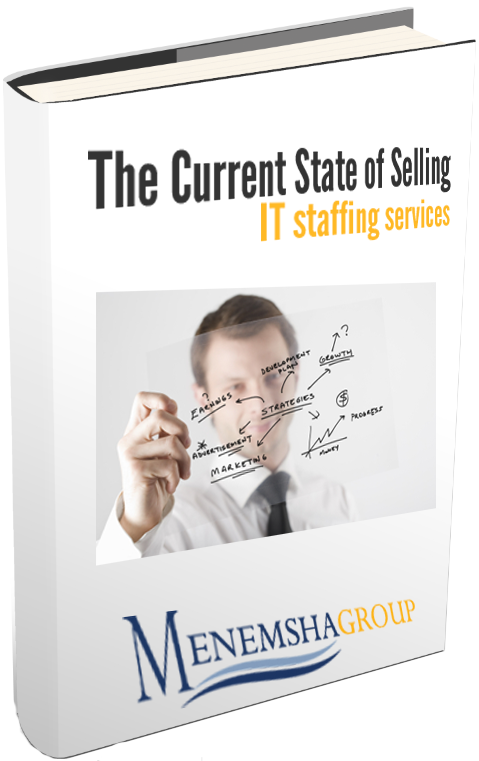 IT staffing is a fast growing, multi-billion dollar industry. 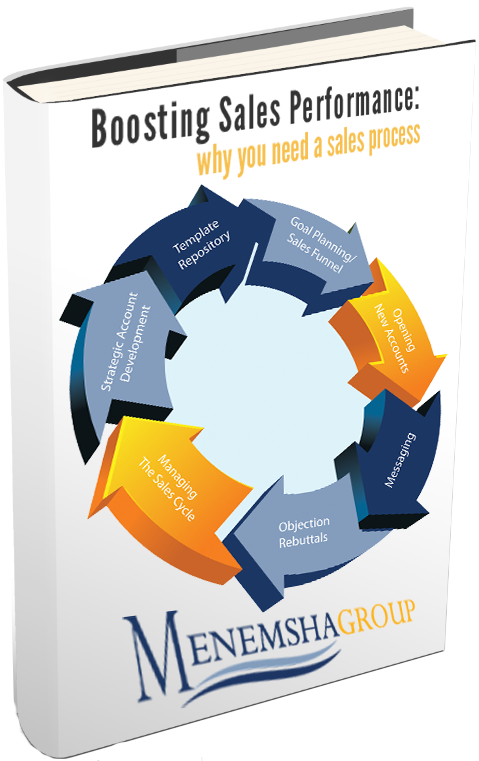 To take advantage of the unprecedented opportunity to grow in 2016, your firm needs a well-defined sales methodology. 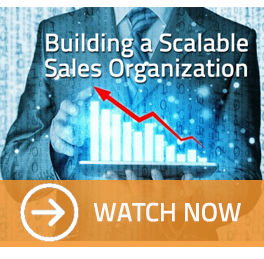 How can you empower your IT staffing sales team with a winning sales methodology? 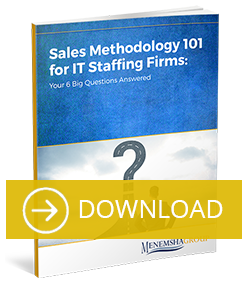 All your questions are answered in our latest free ebook, "Sales Methodology 101 for IT Staffing Firms." No matter how strong your pipeline is, chances are that every IT staffing company is going to have to do some cold calls at some point. At Menemsha Group, we call that opportunity; it's your opportunity to reach new people with the solutions you can provide, solve their problems, and make their lives better. And that starts with nailing the cold call. How to set your goals for a call and why mindset matters. How to do less selling on cold calls. 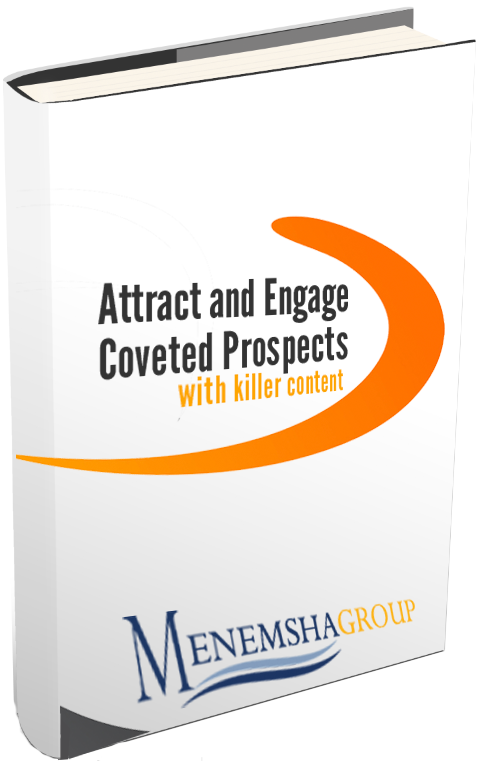 How to disarm prospects quickly and overcome their objections. How to get additional conversations by building trust. What if you could optimize your sales rep’s work routine to ensure they were prospecting effectively, and consistently finding and closing new accounts? 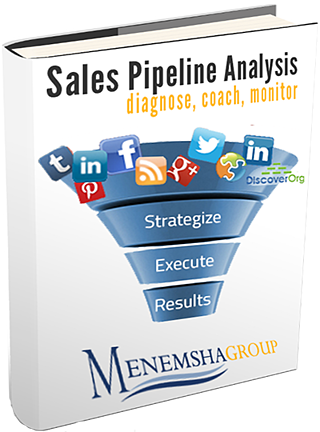 Our methodology maximizes your reps’ time, turning average salespeople into top performers. How and why you need to have a clearly defined target market. How and why you must score your leads. How to set call objectives. How and why you need to create a sales call plan (and track and measure completion). How to demonstrate value and create a memorable experience for your prospects. How to apply metrics to track and improve your prospecting effectiveness. What buyer personas are, why they are so important, and why they are the key to successful prospecting for IT staffing sales professionals. The Corporate Executive Board has discovered that strong onboarding and consistent training can boost performance by 19%. Want to better train your reps and boost your bottom line? The four mistakes that IT staffing companies make in sales training. 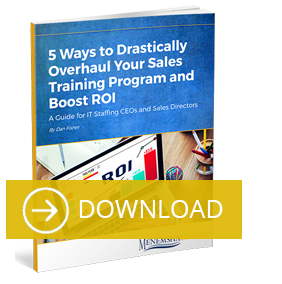 The five steps to overhaul your sales training program to seriously boost performance and ROI. How to make those changes stick, now and forever. How do you create an effective sales training program that has 100 percent long-term adoption and that helps your reps (new and old) close more deals faster? 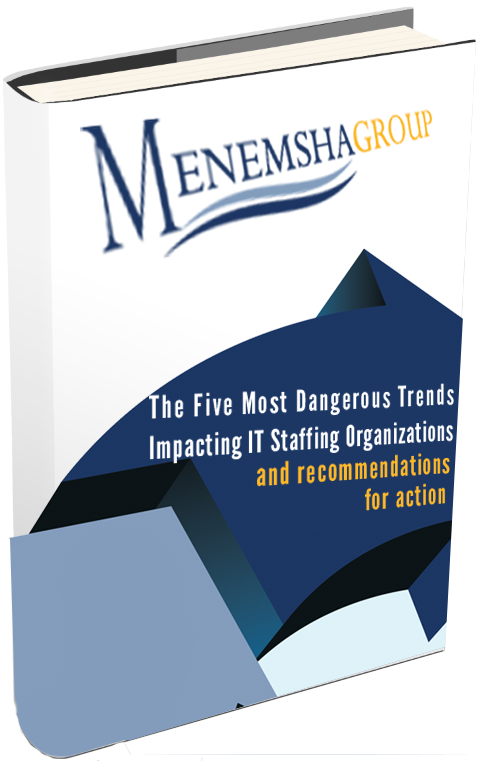 Menemsha Group has helped 300+ IT staffing firms and we've learned a thing or three. 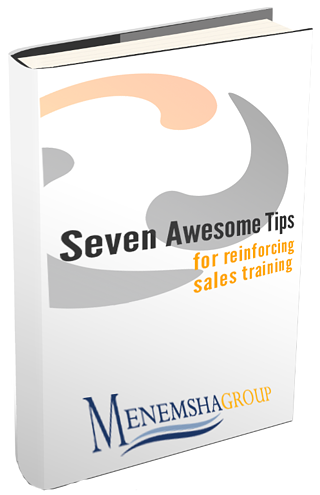 The methodologies that Menemsha Group uses to build effective sales training that sticks. How change management theory can help get your employee on board. 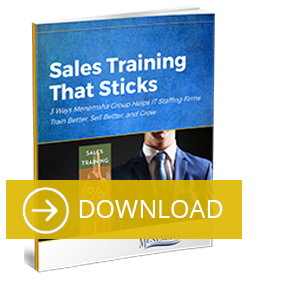 The key metrics you need to track to understand if your sales training is working. Don't miss another opportunity and potentially waste thousands of dollars because your training and sales methodology doesn't turn your sales reps into rock stars. Download our free ebook today. If you are a CEO, business owner, staffing industry consultant, sales or recruiting manager or aspiring to lead a group then this webinar will be extremely valuable for you. 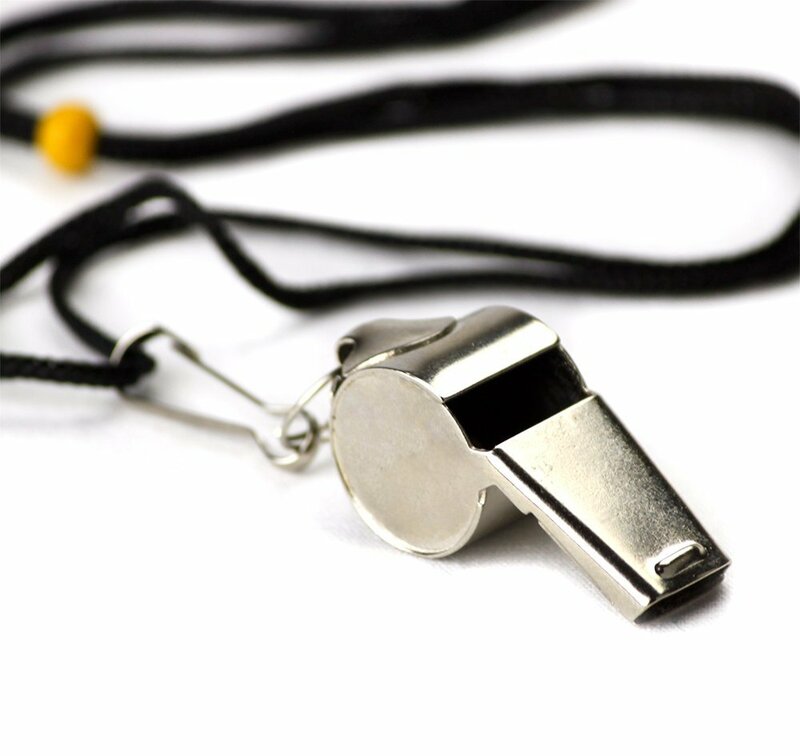 How to transition from manager and Chief Problem Solver to that of a Coach. 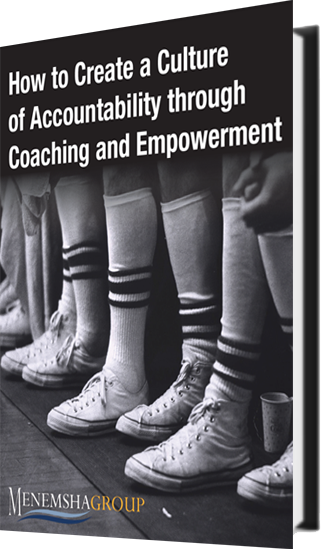 A Six Step Coaching Framework that Top Performing Managers follow to deliver Elite Coaching. A unique way in which to Empower and get Real Buy In From Your Sales Reps and Recruiters in which they will Hold Themselves Accountable. Watch this webinar and learn how to build a replicable business that can not only run itself without the top leader or top performer being present, but can continue flourish. This webinar will show you the key strategies and "routines" that you must develop and execute consistentlly in order to scale your IT staffing business and achieve sustainable, long term growth. 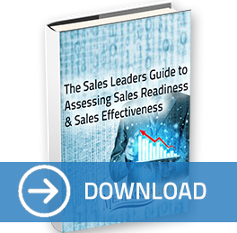 Is your sales forecast unpredicatable? Is having predictable revenue a "pipe dream?" Do your sales reps tend to want to jump to the end of the sales cycle? The Sales Leader's Guide to Assessing Sales Team Effectiveness and readiness eBook is a 6 page guide that highlights how a sales process improves sales performance, the benefits of implementing a sales process and an assessment worksheet for you to assess your current sales process and plot your sales process improvement road map. Struggling to earn the trust of potential new customers? Before you can expect them to open up their wallets, you need to start by demonstrating your ability to deliver on what your service promises. 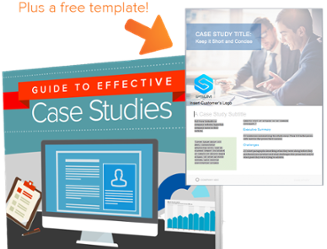 You can give your prosects cheap lip service or you can demonstrate your value by following our case study creation template. 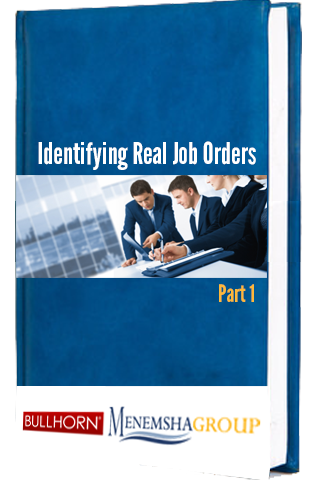 Ever wonder how top performers seem to close such a high % of their job orders? And doesn't it seem like the recruiters are always pumped to be working on their job orders? 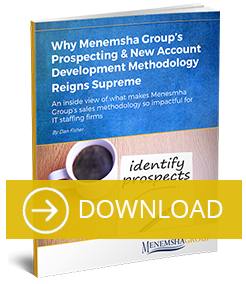 Well, Menemsha Group is going to share with you exactly what it is that top performers do when taking and qualifying IT staffing job orders. This playbook will walk you through step by step what you need to do to effectively qualify your opportunities and differentiate yourself from the competition. Follow this playbook and your recruiters will be linning up to work your job orders and "A" player candidates will be dying to interview with your clients. 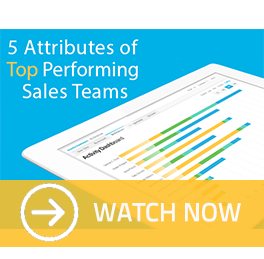 Wondering how your sales team ranks against best in class sales organizations? Watch this FREE webinar and find out. You will also learn how to to build a best in class sales organization and see what sets top performers apart. According to Forrester Research's Buyers Insight study, only 13% of corporate buyers believe that a sales person can demonstrate they understand their business issues and co-create a solution. No wonder cold calling is so darn difficult! 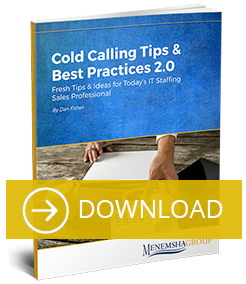 Access this FREE sales training webinar with Menemsha Group and DiscoverOrg on Cold Calling & Voice Mail Strategies to learn the top sales tips for staffing. You cannot make someone with zero sales experience an all-star overnight. He or she may have more innate ability than anyone who has ever walked the earth, but without the right combination of training, knowledge, and guidance from you, the person won't generate revenue. So what does it take to transform a hesitant newbie into a quota-busting superstar? Find out. Hiring top performing sales people is no easy task. Read this ebook and learn why so many get it wrong. Learn how and why you're first task in hiring top performing sales people begins with creating your hiring profile. 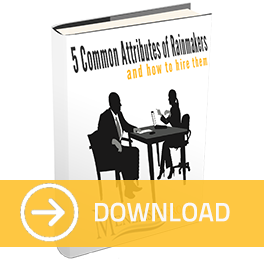 Then, learn the 5 common attributes among rainmakers and how you can identify them in your search and interview process. Maximize your sales results with our sales planning guide. Use our guide to develop and execute your sales goals. Our guide will help you get organized, focus on the right sales activities and evaluate what it will take for you to hit your sales goals. A sales training reinforcement or user adoption plan highlights the specific tasks and events that occur after the implementation and training to reinforce and drive the new desired behaviors. The plan details the content, the cadence or frequency and the event leader. This reinforcement schedule must involve the entire organization and it should include a variety of activities. This eBook covers 7 important tips for an impactful plan. To successfully lead any sales team, sales managers must be able to analyze the overall health and predictability of the individual and team pipeline. In effect, sales managers must be like physicians where they can quickly and accurately diagnose conditions to provide a “clean bill of health” or develop the prognosis and provide the subsequent sales coaching where job orders/opportunities are stalling. Read our white paper and learn the best practices for evaluating and coaching your sales pipeline. A recent CSO Insights study reported that the number one objective for Chief Sales Officers is to improve sales effectiveness and the key enabler to improving sales effectiveness is sales playbooks. 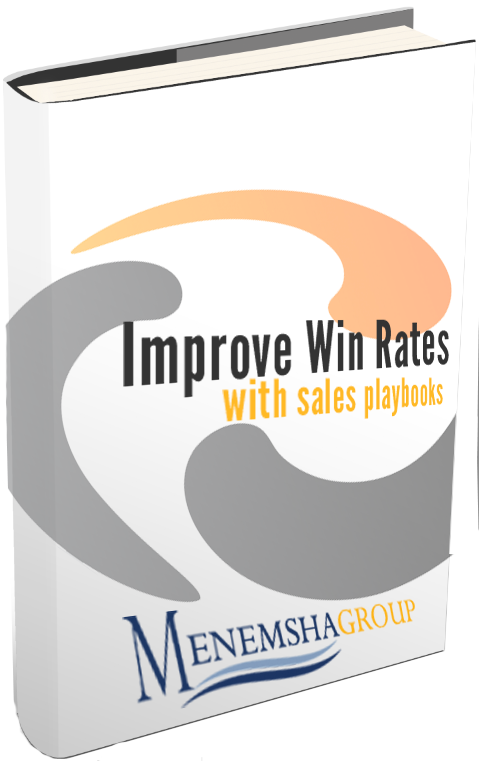 Read this white paper and learn what sales playbooks are, how to design them and where and when to utilize them. Sales managers will also learn how sales playbooks can improve their sales coaching and deliver consistent sales results. Six Reasons Why Sales Training Fails. Read a story about how one IT professional services organization went about sales training. The sales team liked the speaker, felt the content and sales strategies were relevant, and the training workshops were fun, entertaining and educational. But the implementation floundered. Why? 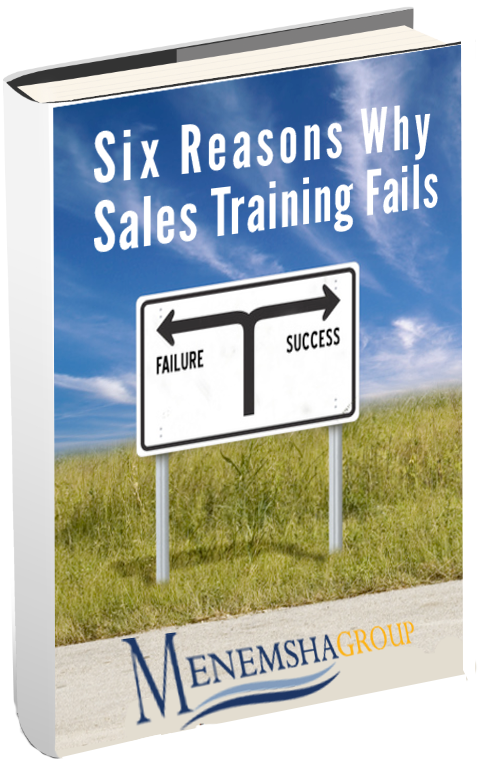 Read this story and learn the six common mistakes for why sales training fails. CRM and ATS technology has become a driving force behind management within the IT staffing industry. Most CRM/ATS tools come with pre-packaged default lead and opportunity stages and default fields for the sales cycle. When leveraged properly, these software packages equip staffing firms with insightful data to run their business more effeciently at a higher profit margin. So why is it that most IT staffing firms still lack a consisent sales process where all sales reps follow a consistent process? 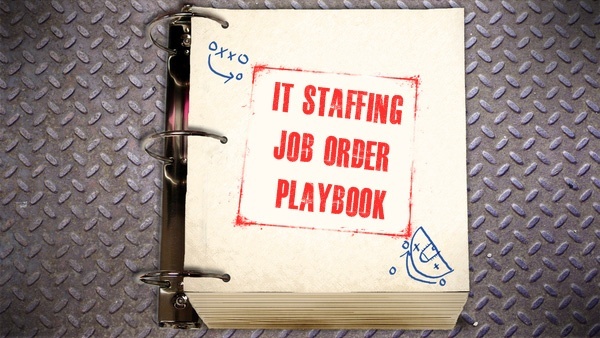 Selling in today’s IT staffing market requires more than elbow grease and good selling skills. Creating killer content and speaking the language of your customer is crucial for building credibility. And when you establish credibilit your prospects instill confidence in you. Gain invaluable insight into the key trends impacting IT staffing and professional services firms and how they will impact your business. Gain perspective on what actions you can take today to not only survive but thrive in today's IT staffing market. Are you struggling to get client call backs? Finding it difficult to land face-to-face meetings with IT executives? Most likely it's because your message is weak. 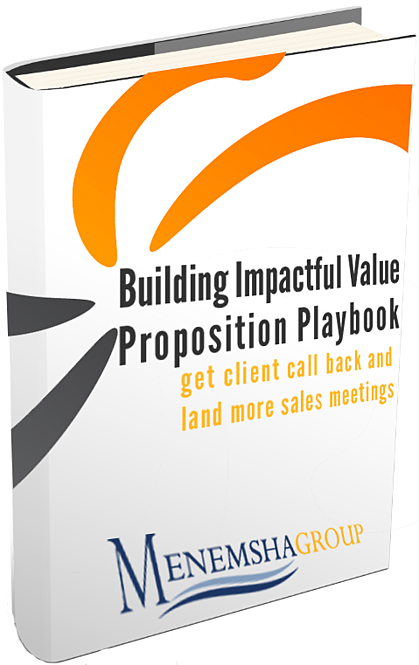 Lean how to build an impactful value proposition with our playbook and get more client call backs and land more meetings. Congratulations, you've landed a first time face-to-face appointment with a new prospect. Now it's up to you to keep the momentum going and truly differentiate yourself. But how? 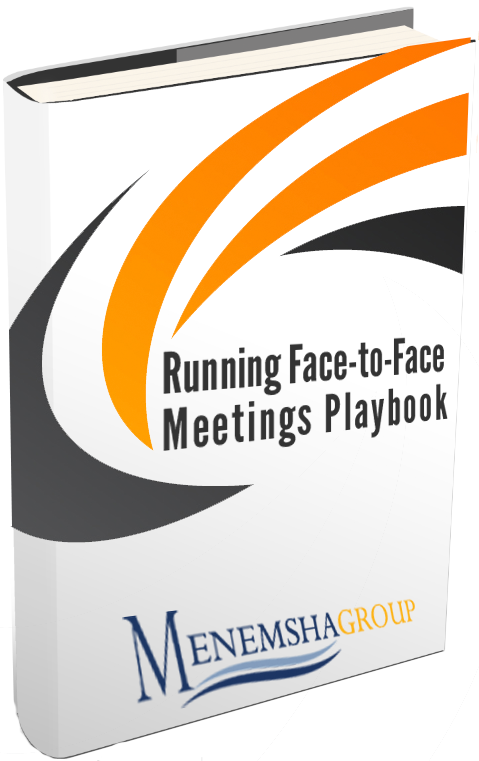 Check out our Face-to-Face Meeting playbook and learn how to prepare, open, run and close sales meetings like the top performers do. Follow our methodocial, step-by-step guide on how to open new accounts. 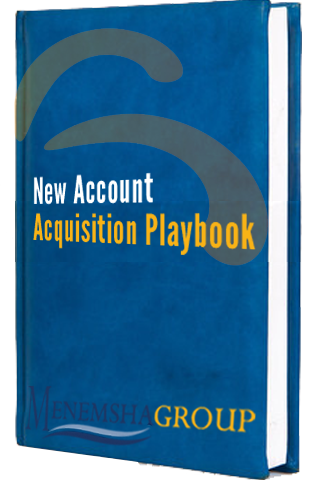 The playbook explains what tasks and action items need to be completed in order to acquire a new account. More importantly, it provides best practices for how to do it. Getting lots of objections and not sure how to handle them? 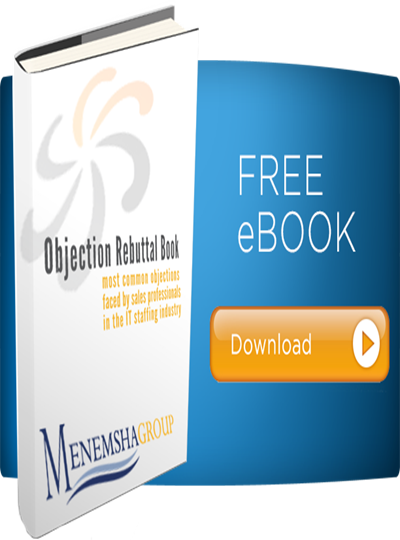 Menemsha's Sales Objection Rebuttal Book addresses all of the most common objections faced by sales professionals in the IT staffing industry. Download our rebuttal book and learn the best rebuttals to all of the common objections you face everyday. Read how Bullhorn interviews Dan Fisher, Founder & Owner of Menemsha Group on best practices for uncovering and qualifying job orders and hiring managers. Read Part Two of the interview between Bullhorn and Dan Fisher. Dan shares ideas on how to best leverage technology to improve productivity and create sales opportunities for uncovering job orders.